Hulled grains of buckwheat, which have been oven-toasted. For cooking they can be used whole or they can be coarse, medium or finely ground. They have a nutty flavor that is slightly sour. 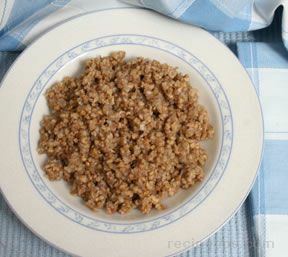 The ground grain should be cooked carefully because it can easily turn mushy.